When your puppy growls at you if you come near while he is eating or when he is chewing a bone – is this normal puppy behavior, or something to be worried about? Guarding food or a toy is often the first sign of aggression and will escalate into very dangerous behavior if you let it continue. Don’t fool yourself that your puppy will grow out of it. If anything, your pup is likely to get better at it. All aggression in puppies needs to be taken seriously. Knowing how to identify and correct the signs of aggression is essential to raising a happy, healthy dog. Aggression can take the form of growling, lunging, snarling, baring teeth or actual nipping. Stiffening and staring can be warning signs. Some puppies will only threaten while others will actually bite. Puppies who show aggression usually have certain circumstances or things that trigger an aggressive display. Common triggers are: possessions like food bowls, bones and toys; places like chairs, couches, quiet spots underneath tables and dog beds or grooming like being touched on their feet, tail or ears. Do not confuse normal puppy behaviour with true aggression. Most puppies, if allowed, will mouth and nip you in play. This is quite normal although it should not be tolerated. Many aggressive puppies are in fact fearful. This fear is usually bred into the puppy. Most likely one (or both) of the parents were fearful. Other factors are lack of social experience during the critical early stage (4 – 8 weeks), leaving the litter too early (under 8 weeks), being bullied by an older dog or other puppies in the litter or harsh handling. Very rarely, an aggressive puppy is confident aggressive. Pups like this usually also have at least one aggressive parent. They also often come from from very small or very large litters. Some puppies will start showing aggression soon after you bring them home while others will only start showing aggression later. Make sure you do not encourage aggression by reacting inappropriately. Sometimes owners think that the first signs of aggression are cute and encourage the pup by giving attention. Do not tease or provoke the puppy or allow anyone to play rough with the puppy. Do not allow children to chase the puppy or allow the puppy to chase children. Do not pull away or retreat when the puppy behaves aggressively. As most aggression has a genetic link, make sure you meet both parents of the puppy who should be friendly and calm. Observe the parents interacting with other dogs (outside the pack) and with people. Check that they are relaxed around food and do not have any guarding issues. Make sure the breeder handles and interacts with the puppies daily and that they are not raised in a run in the corner of the yard. The puppies need to be meeting children and be exposed to household noise and activity. When choosing a puppy from a litter, choose the one who is calm and friendly, not timid or overly bold. Once home, immediately instill basic boundaries for acceptable behaviour. Have everyone who comes into contact with your puppy behave in a calm and relaxed manner. Sign up for a puppy socialising class as soon as possible. Get your puppy used to you handling him while he is eating. Stroke him and put your hand into his food bowl. You can approach and add treats while he is eating to help him associate your presence positively . Take bones away while he is chewing and once he is calm, give them back. Pack away toys after play time so he has nothing to guard. Socialise your puppy with lots of puppies, friendly adult dogs, children and strangers. Also take your puppy out as much as possible. Visit the vet when he isn’t sick, visit your friends’ houses, the plant nursery and outdoor restaurants. Go out and meet the world as much as possible. Handle your puppy every day and examine all over his body. Hold him in your arms and only put him down when he is not wriggling and is completely calm. Ignore any growling or screaming. At least once a day, place your puppy on his side on the ground with his legs away from you. This is called the “settle” position. Hold him down with one hand on the side of his neck and one on his bum. Keep him in that position until he stops wriggling, ignoring any screaming or performing. Let him go once he is relaxed. Do not approach either of these holds in an aggressive way. You want to teach your puppy to relax and the best way is to approach this calmly. Some puppies will get very agitated, do not sooth or praise while the pup is in an agitated state. What should you do if your puppy is showing aggression? There are a number of management tools you can use to handle a puppy who shows aggressive behaviour but the bottom line is that puppies who react aggressively do not make ideal family pets. They should not be trusted with children and are only suitable for experienced dog owners who are comfortable with being firm. If you are scared of your puppy or feel that you can not be firm and consistent, consider returning the puppy to the breeder or re-homing the puppy to a more suitable home. It is important that you understand the responsibility of keeping a dog with an aggression problem. The whole family needs to be comfortable with the situation and prepared to commit to the treatment. If you feel that you are up for the challenge and have the time to work with your puppy, here is what you should do. Do not approach any interaction with your puppy in an aggressive way. You need to be calm and firm at all times. Instill basic ground rules eg. pack away toys after playing with your pup, do not greet the moment in the door, keep him off your furniture or beds, groom and handle him daily and feed him only from his bowl and after the family has eaten. Teach your puppy to defer to you to get any attention or privileges. Teach him to sit quietly when he wants anything from you (like food or to be allowed out the door). Reward him for this calm behaviour by giving him what he wanted (or a treat). Train yourself to ignore any demanding behaviour like crying, pawing or barking. 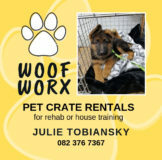 Handle your pup every day, looking in his ears, eyes, mouth and handling his paws. Brush your puppy daily insisting he sits still while you groom him. Practice both puppy holds (in your arms and on the floor). Make sure that your puppy is never handled roughly. Supervise all his interaction with people especially children. Use a lead to manage your pup around the house. When you sit down in the lounge, loop the lead around your foot and give your pup a toy or chew to keep him busy. Having your dog trail around the house behind you is the best way to teach him what kind of behaviour is acceptable to you. 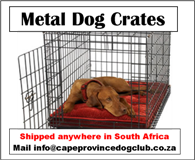 Let your puppy sleep in a crate – this keeps him contained but also prevents him becoming too dependant on your presence. When you feed your puppy, stay with him while he eats, stroking him and handling his food. 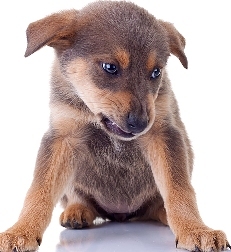 If you get a growl or your puppy stops eating and stiffens, say “No!” firmly and remove the food for a few minutes. If the puppy attacks you, put him into the settle position, flat on his side until he is calm. Release him to try again. A good way to work with a young pup who feels the need to guard his food is to hand feed him. This way there is no bowl to guard and he learns that all food comes from you. To manage guarding of toys, use a toy with a rope attached so that you can control the game. Always play with your puppy on the lead and do not allow him to keep the toy afterwards. Teach your puppy to let go of the toy on command by saying, “leave” in a firm voice before you open his mouth gently and remove the toy. Do not pull on the toy while you do this as it encourages him to hold even tighter. Reward your puppy for leaving the toy by allowing him to continue playing with you. If you get a growl, say “No!” firmly then put him in the settle position. Do not continue the game after your puppy has growled or lunged at you. If your puppy acts aggressively when handled, you need to identify the problem area. It might be touching his front paws or stroking him down his back. Once you know what it is, start to touch him in that area just before something exciting is going to happen, like mealtime or a walk. This will change his perception. If you get a growl, correct with a firm, “No!” and place him in the settle position. Leave the lead trailing on your puppy while you are with him so that you are more in control when your puppy behaves aggressively. As soon as you start a “zero tolerance” approach to aggression, you should start seeing an improvement. If not, please contact us so we can advise you further. We strongly recommend that you neuter or spay your pup at 5 months of age so that there is no chance of your puppy producing more aggressive puppies.